We’re all aware of the 'how to's' of being a gentleman: hold the door open, keep your promises, binge watch James Bond movies, drink scotch, etc. But being a gentleman start with feeling like one. So, without further ado – here is your interior guide to living like a boss (Gordon Gekko would approve). If there is only one lesson you take away from this, let it be that being a gentleman is all about sophistication. 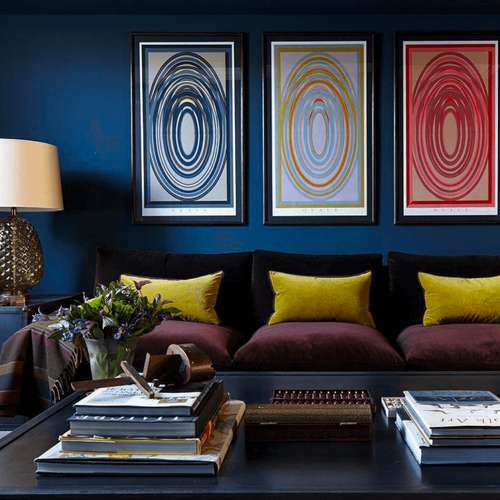 Think: a red-brick members club in the heart of the city, with its decadent reading rooms, mahogany interiors and the lingering scent of premium cigars - That’s what we’re going for here. Old-school sophistication with a new-school edge, that will make you feel like a gent as soon as you walk through the door. 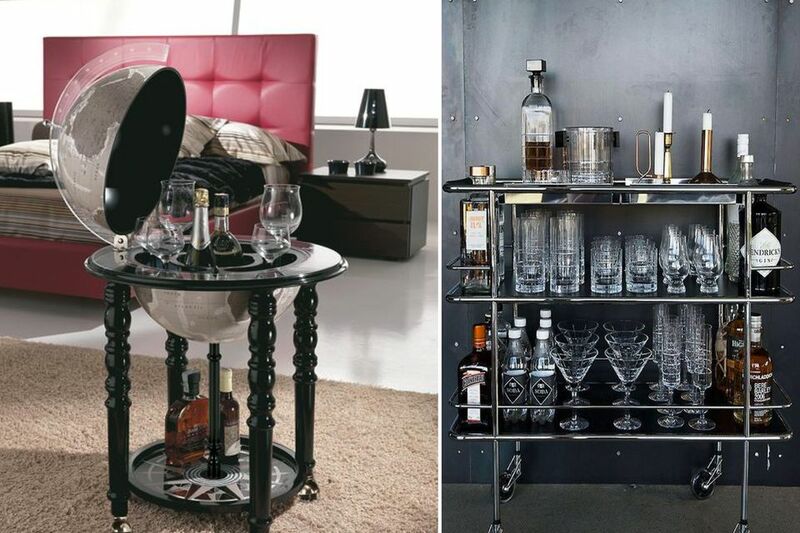 The first step to transforming even the most basic of rentals into the ultimate Gentleman’s pad is a bar. If you want to keep it classic, this vintage globe bar is the one for you. If you’re looking for something less pricey and more modern, check out this sleek serving trolley. Then, fill it with what you will. Don’t bail on me when you see the words ‘faux fur’, because I guarantee it is a key element to getting your living room to Gentleman-status. Get yourself a faux fur throw to throw (pun intended) over your couch. 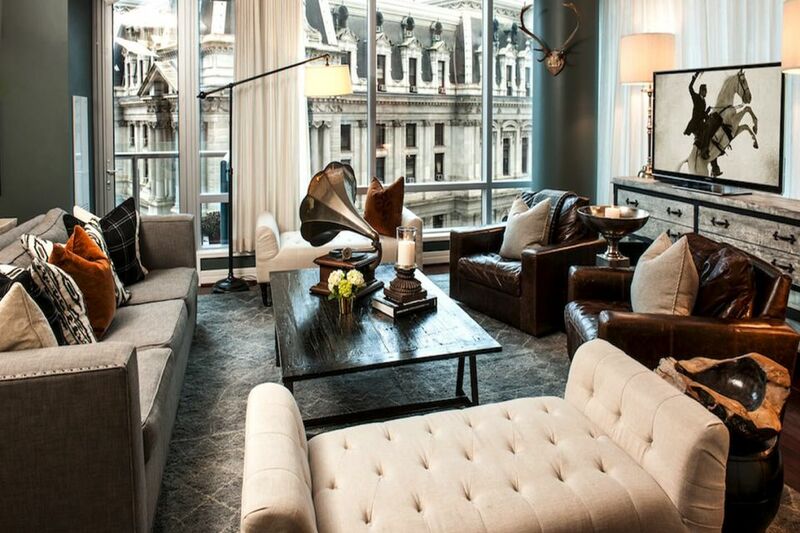 Trust me, there is no better way to add a sophisticated and luxurious vibe. Also, get yourself a nice rug. It seems like a non-necessity, but nothing will make you feel more like a boss than walking barefoot on a fluffy rug. 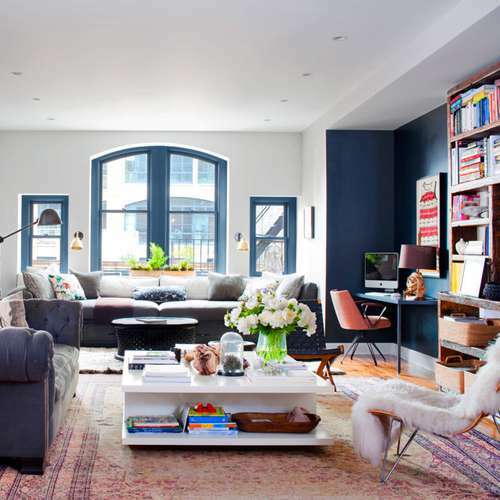 Opt for a charcoal grey one to add warmth and depth to the room. Next, get yourself some plants. I won’t give you a lecture about the benefits of plants and why they add so much ambiance, because really, who has time to keep a plant alive. 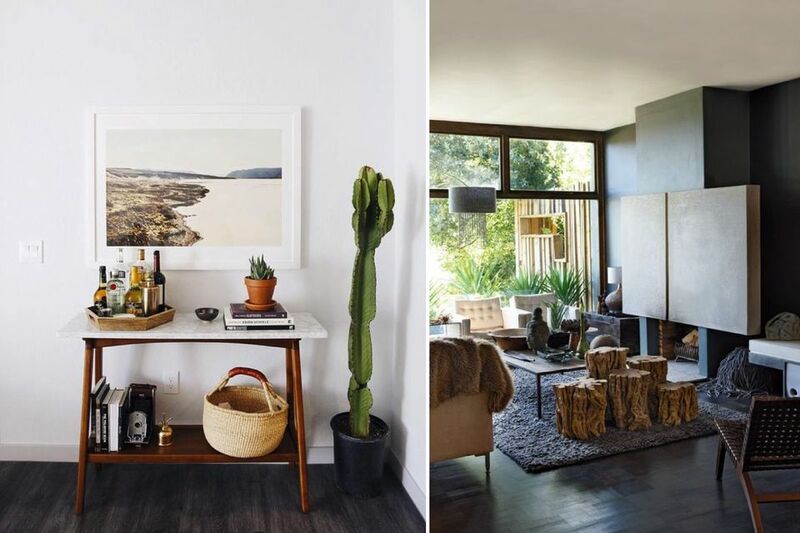 Instead, opt for a good fake bonsai, or a cool cactus to bring some life to your space, while keeping it masculine and sleek. 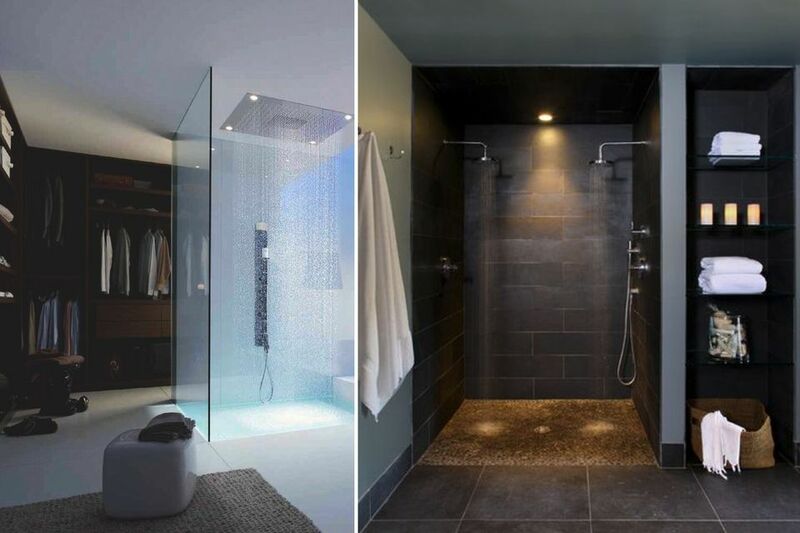 Your shower may not look like the picture above, but it can feel like it. It’s dead simple: change your shower head. Opt for this square shower head (that’s on sale and 86% off…just saying). One word: candles. 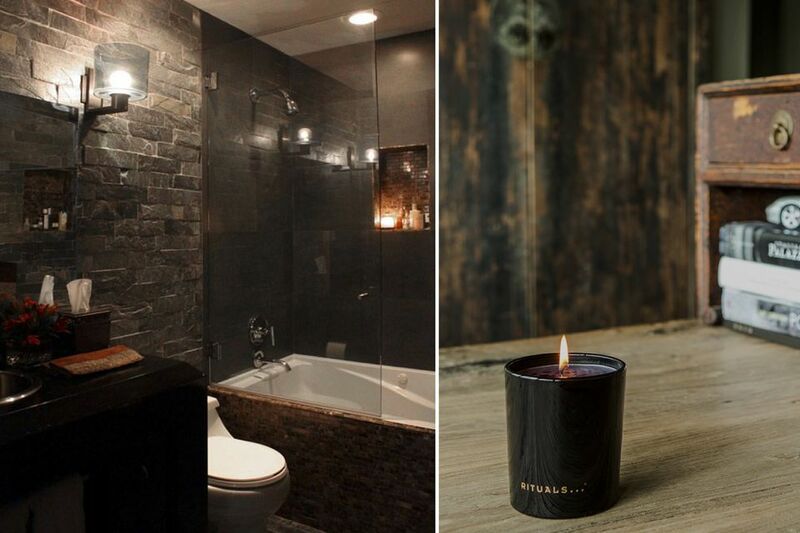 That is quite literally all you need to zen-up your bathroom and make you feel like 50 million bucks (because if you only feel like 1 million bucks, can you really even call yourself a gentleman?). And they don’t have to be a girl thing. Opt for candles that have earthy tones like the Samurai candle from Rituals. It looks super sleek, and will last for months. Also, two other top tips for getting the perfect bathroom: coordinated towels and purchasing a soap dispenser. Get yourself some nice charcoal grey or taupe towels and bathmat - you will be amazed at how much it will make it look like you’ve got your s*it together. Also, get yourself a nice soap dispenser. It allows you to buy soap in bulk - It’s just good economics. 1 | The eyes aren’t the windows to the soul…the wardrobe is. One thing is for certain: a gentleman does not wear wrinkled anything. For the corporate man, this means ironed shirts, pressed suits and a nice tie. For the – let’s call him ‘alternative’ – gentleman, that means a perfectly coiffed man bun, crisp white t-shirt, and ironed jeans. Here’s the catch: the only way to look 100% put together 100% of the time is to visit your local dry cleaner, sit there as he tells you your suit will only be ready in 7 days, and pay an exorbitant fee... right? Wrong. Being a gentleman is all about old school sophistication, but being a modern gentleman is also about leveraging the new-school (a.k.a Tech). Welcome to Zipjet (and preemptively - you're welcome). When it comes to efficiency, cost-effectiveness, and all round gentleman-worthy living, Zipjet leaves no room for excuses. 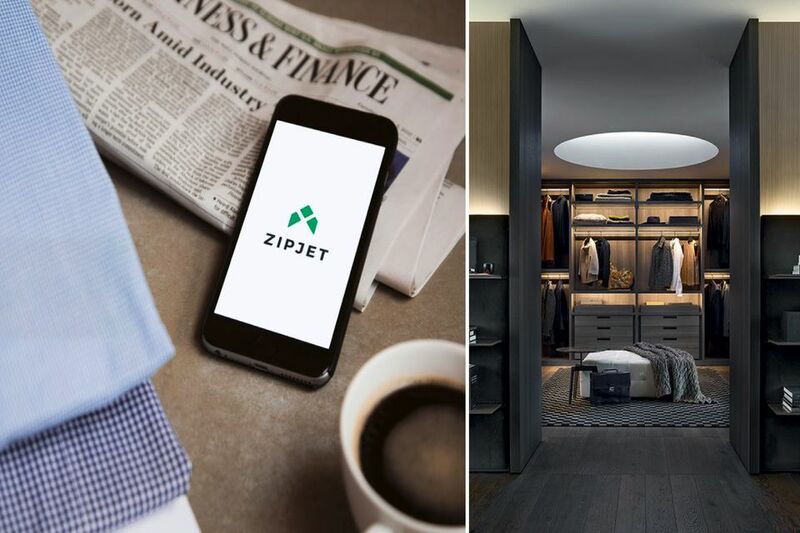 Zipjet collects, cleans and delivers your laundry and dry cleaning in as little as 6h (no, really). 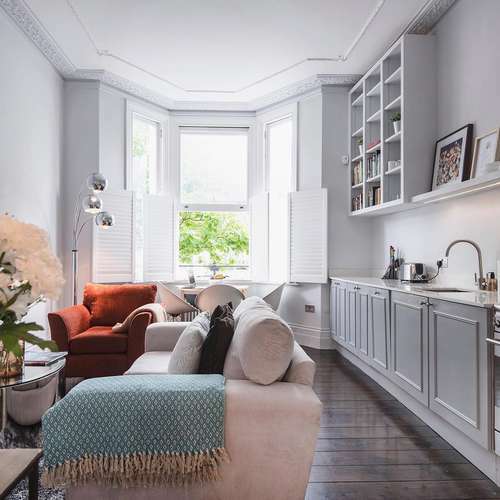 Imagine waking up, getting your laundry and dry cleaning picked up at your door, and getting it back, cleaned and ironed, by the time you get back from after-work drinks. At only £14.50 for an 8kg bag of ironed laundry, and £24.50 for two suits and two shirts (and with £10 off your first order with voucher code HOMEW10), you have literally no excuse for not looking perfectly put together 100% of the time - Like a true gentleman. I'll keep this short: invest in a robe and comfy slippers. No true gentleman relaxes in sweats and a football jersey. Also, make sure you have a second one stashed in your closet in case of 'overnight guests'. Old school chivalry can go a long way. 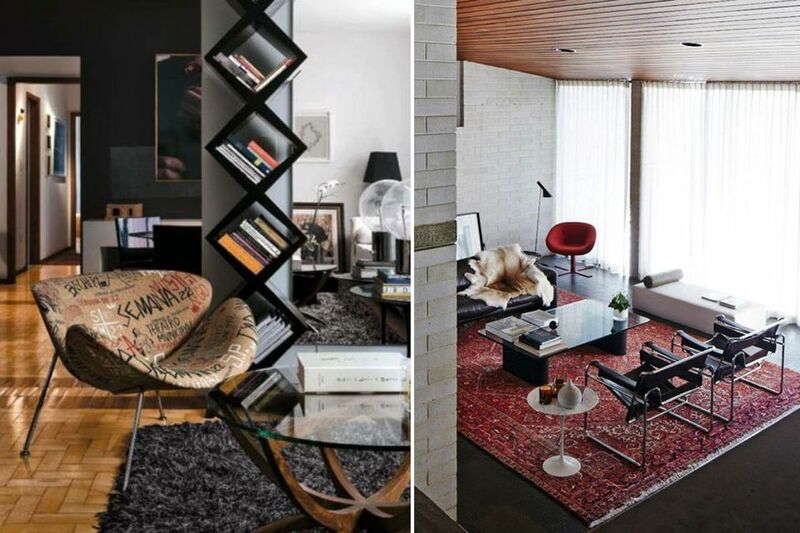 We are interior designers after all, so let us have this one. The 5 elements of feng shui are wood, metal, fire, water and earth. We've ticked water off the list with our new shower head, fire is sorted with the scented candles, and earth (albeit an artificial version of it) is also covered, with our bonsai tree and/or cactus. 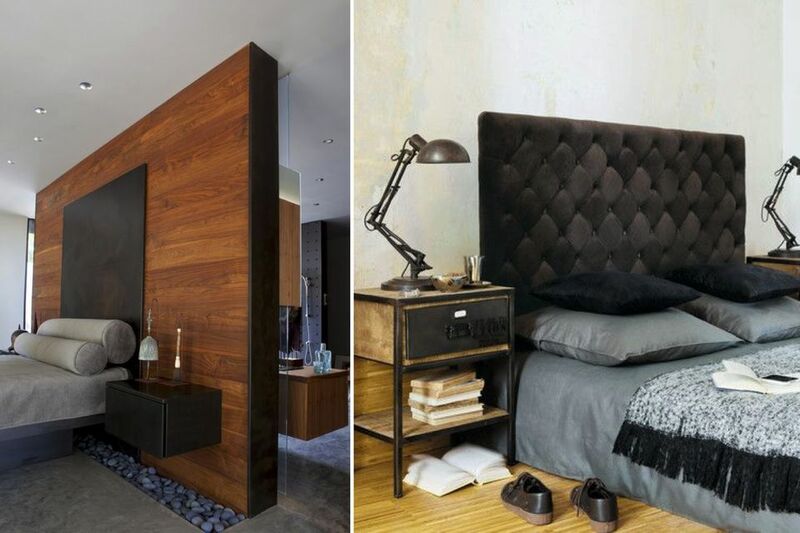 But, to bring real elegance and balance to your gentleman pad, you need to incorporate the two most elegant elements: metal and wood - And there's no better place to do that than in the bedroom. If you're up for a big change, switch up your bed frame with a metal and wood one to instantly elevate the space. If you're looking for a more attainable way of getting a classic gentleman vibe - opt for a couple of wood and metal side tables. 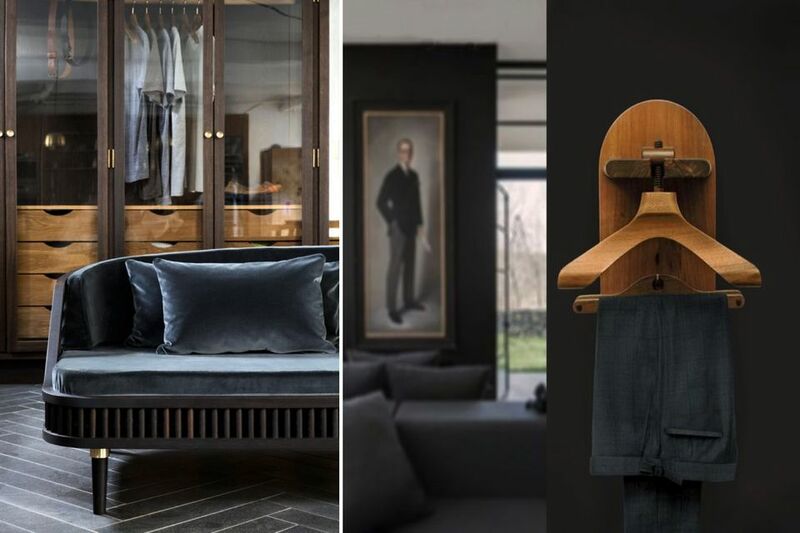 Another must for any modern gentleman's bedroom is an old-school valet stand. It's decadent and will make you feel weirdly powerful. Nothing will make you feel like you have your life together more than waking up to your clothing perfectly displayed and ready to go.